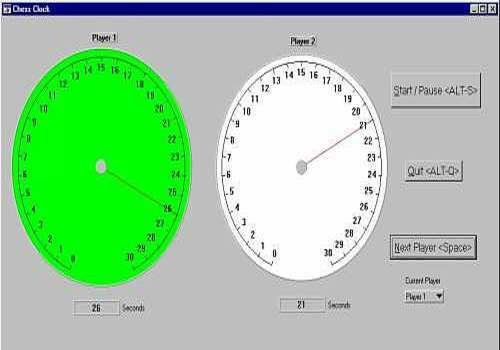 Double Clock to play Blitz (Timed Chess Game): The user defines the number of seconds reserved for each player, the time (of reflection) of the first player is counted until the SPACE key is pressed, which counts the time (of reflection) of the second player. The one who lost is either the one who really lost in chess (game not provided) or the one whose time reaches 0. Sarbyx TrayClock is the replacement for standard Windows clock, it builds itself right into the taskbar and doesn't eat any desktop space.